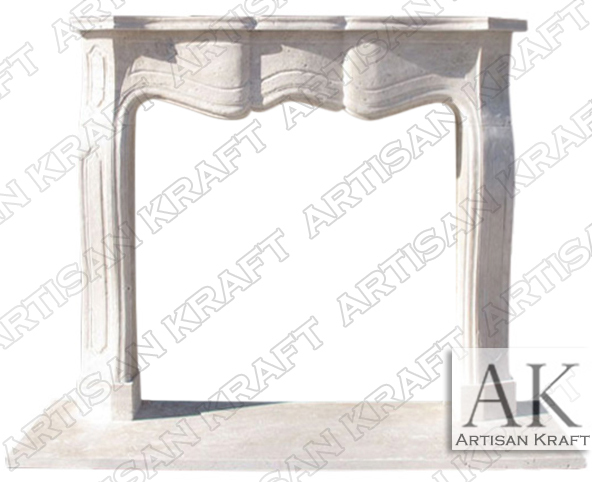 Providence fireplace mantel is a French style design that is hand-carved from travertine. A beautiful light colored stone with natural pits in its texture. Curves are the style of this mantel. Feel free to give us a call with any questions you may have about our sale items.